2016 Our Promise Season Kicksoff! The 2016 Our Promise (also known as the State Employee Charitable Campaign) season kicked off at the state capital on August 30 with a fair of charities and non-profits introducing themselves to Our Promise key workers that represent their agencies. This is the third year that Heifer Sacramento participated in this fun and fast paced event. It was a beautiful sunny day for getting to know charitable organizations that California state employees can support with monthly deductions from their pay checks. It doesn't get easier to make a difference. No stamps. No reminder mail. Set it and forget it! Heifer International's CSECC code is 315. One question asked about Heifer was, 'Does Heifer work here in the U.S.?' The answer is Yes, Heifer does. Heifer is working with small scale farmers in the U.S. to better connect them to markets for their products. 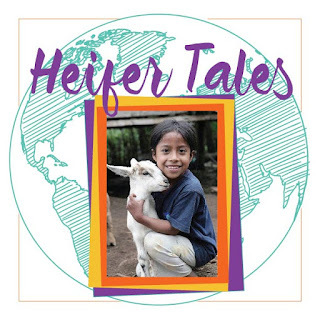 Read more about Heifer USA here. Sobonn Jones visit the Heifer booth at the 2016 Our Promise kickoff at the state capital. Heifer Sacramento participated in a job fair for Returning Peace Corps Volunteers. The job fair was held on July 14, 2016 at International House adjacent to the U.C. Berkeley campus with about 20 exhibitors was present. 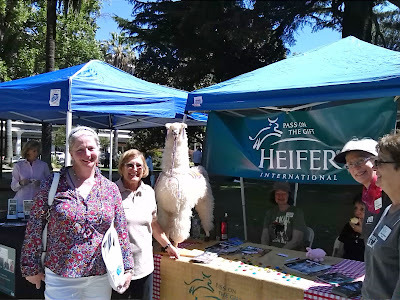 Suzanne Awalt represented Heifer Sacramento at the Peace Corp Job Fair. Heifer International is a good fit for Peace Corps veterans who have strong multi-cultural sensitivity and experience from working in developing countries. In some cases, volunteers had directly encountered Heifer at work in the counties where they served. Heifer International is seeking Global Education Volunteers for positions at its farms in Perryville, Arkansas and Rutland, Maine. These positions include housing and a $400 per month stipend for a period of 9 mos to 1 year. Over the years, many Peace Corps veterans have taken positions at one of Heifer's farm-based learning centers after completing their volunteer service. Working with Heifer International is a win-win, providing a hands-on laboratory for transferring valuable community development experience and feeding a passion for service, while helping Heifer fulfill its educational mission. Gate Coop Dreams - Online Campaign! Bill Gates invited Heifer to be part of Coop Dreams and together we are launching an online campaign to show the “unique and low-cost ways that chickens help foster development.” The goal of the campaign is to provide 100,000 chickens to help end poverty around the world. The live exhibit launched today, June 8, focuses on this “small but meaningful” livestock’s role in ending extreme poverty. Heifer is seen by Gates as a livestock and chicken expert, and will be playing a complementary role in the exhibit. Gates is asking people to 1) read a blog, 2) watch a video, and 3) complete a one-question quiz that will earn them enough points to “donate” a flock of chickens through Heifer. By completing these 3 steps, the Bill Gates will donate a flock of chicks to a family in need through Heifer International. Take a moment and complete these 3 simple steps to help Bill Gate donate 100,000 chickens to families in need!!! This is super simple!! Watch a video of Bill Gates talking about Coop Dreams at the Forbes Philanthropy Summit in New York City on June 8. 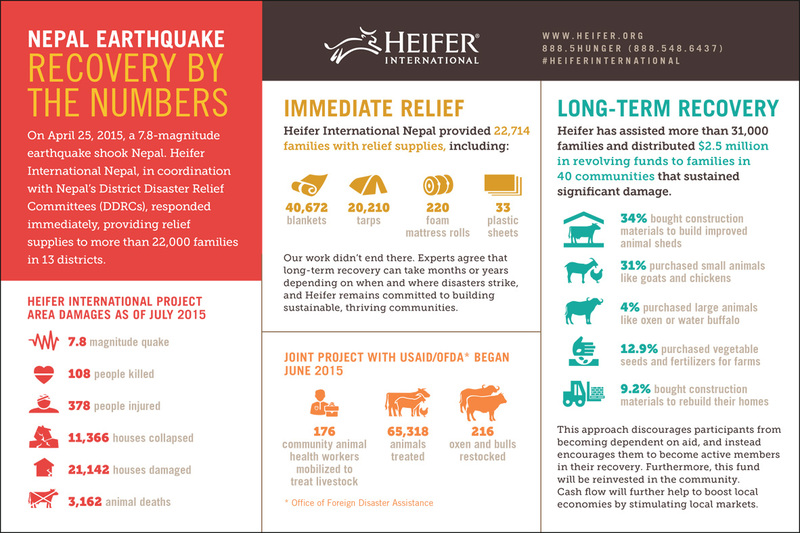 Since the April 25, 2015 earthquake in Nepal, Heifer Nepal has been helping more than 31,000 families recover and rebuild. Help was provided in many forms. Self-help groups and cooperatives that make up Heifer Nepal help distribute interest free loans to rebuild homes and animal shelters, replace lost livestock, feed, seeds, and tools. Watch a video report of their progress. Thank you again to all the talented storytellers and generous audience for coming together to raise funds to support Heifer Nepal’s recovery. Your donations helped Heifer distribute $2.5 million in loans to communities that experienced the most significant damage. This revolving fund takes loan repayments and keeps it in the community. Here's an infographic of some Nepal earthquake statistics. Ecuador experienced 2 large earthquakes (6.7 and 6.8) on April 16, 2016. The epicenter of the quakes was located 16 miles from Muisne, in the province of Esmeraldas, where Heifer Ecuador is working to restore the endangered mangroves and help fishing families tap new sources of income as their catches dwindle. Fortunately, no lives were lost, but the village of Santa Rosa was razed and the entire population of Musine had to be evacuated. Heifer has been working with other relief organizations to address and support the immediate survival needs of the population. Once those needs are met, Heifer Ecuador will help affected project families rebuild their homes and economies. Help also came from inside the country. Participants in the Andes who were unaffected by the earthquake and concerned about those who were. Although some of the families still struggle on a low income, they were inspired to donate what relief items they could, including food staples, toothpaste and toilet paper. Give today to lend a hand to help families recover after the earthquakes. We, the Heifer Sacramento Volunteers, want to express our deep gratitude to the Sacramento community for your support throughout 2015 of our efforts to spread the word and fund raise in support Heifer’s work. We couldn't have done it without you. Thank you!!! Here’s a wonderful THANK YOU video produced by Heifer International. Heifer International's 2015 Annual Report is out. Download it here. Curious about what countries is Heifer working in? There's a new page on the Heifer International website to learn more about the countries where they work and project description sheets. Did you know you can get Heifer's World Ark Magazine digitally? Now you can read about Heifer and their work around the work on your favorite device. Download it free from this page.